Many security under vehicle inspection system are for sale in the market now, some of them can display images of one or two directions, but have you ever seen that a high-technology under vehicle inspection system that can display the images of four directions at the same time? On this Security High-Technology Under Vehicle Inspection System this goal has been easily reached. This security under vehicle inspection system is a high technology device that designed for the security inspection of the vehicles undercarriage. 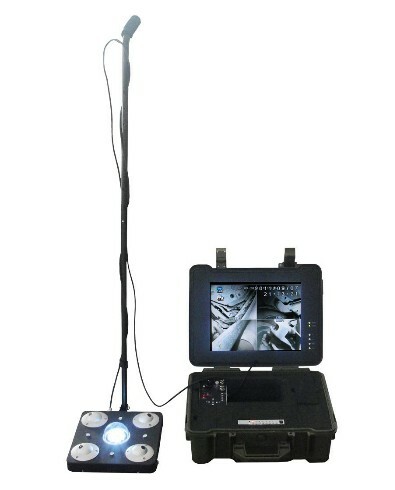 This high-technology under vehicle inspection system offers a quickly and easily visualize the entire underside of a vehicle since using 4 HD SONY camera and 12V LED filling light sources. And in this way no matter in the daytime or at night, this fully integrated illumination system this system provides the users with a clear view in any lighting condition and the operator can see the situations more clearly. 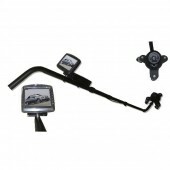 Besides this high-technology under vehicle inspection system owns moveable and fixed two inspection types. 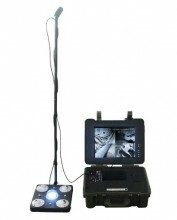 And since it can display the images of 4 directions at the same time and broaden the horizons, and because of its functions and good ability, this security under vehicle inspection system can be installed in place entrances or exits and check vehicles passing or going of the channel, and collect the bottom of the vehicle image acquisition, to determine whether there are bombs, drugs and other prohibited items hidden at the bottom. Moreover, the product has a DVR recording function, it is convenient to store the images to the SD card backup, improve the work efficiency of the security staff. For places as Airports, Historical Landmarks, Correctional Facilities, Clubs, Arenas, Corporate Security, and Public buildings etc, this high-technology under vehicle inspection system can be used and have helped people a lot. If you are in need of one just one here and pick up one. As a man who likes modern technology products, I think this product is advanced. It brings a lot of convenience to my life. I like it very much. I have bought the product for quiet a long time, it can still work very well. It is really of good quality. Well, I think your product is a little expensive, but on the whole, it is very good. The service of your clerk is very thoughtful and satisfying, I really appreciate it. What a happy purchasing experience it is! 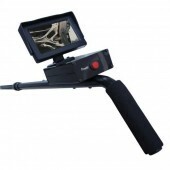 I have bought this device for a long time, it can still work very well,just like a new one. It has more functions than ordinary ones, that's why i like it so much. Thanks!